If you time it right, the colours at The Butchart Gardens will GO OFF! To get these kinds of conditions, Autumn has to be in full swing and the weather has to be perfectly clear and cloudless. 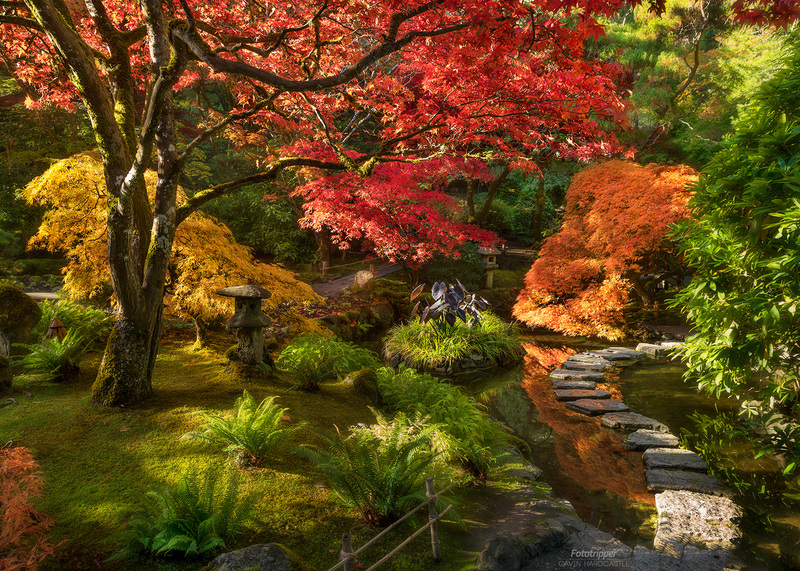 As the sun creeps in to the Japanese Garden, the colours go into overdrive and dazzle your eyes with this lush vibrance. Prepare for busy crowds though and be sure to practice your patience. This is a challenging place for the serious photographer but super easy if you’re happy with phone images.